For admission into both LLB and LLM programs of the 17 participating national law schools there will be a CLAT entrance test. The eligibility criteria for LLB is that the age of the student should be less than 20 years as on July 1 of the relevant year and the general category, OBC and physically disabled students should have obtained a minimum of 45% marks in Grade XII and students belonging to the SC and ST category should have obtained a minimum of 40% marks in Grade XII. The eligibility criteria for LLM aspirants is that they should have obtained a LLB degree with a minimum score of 50%. The exam is conducted annually and there are a total of 2250 seats for LLB where the expected number of applicants is 40,000 and there are 604 seats for LLM and the number of applicants here is expected to be around 5600. The seats will be allotted to the students on the basis of merit. When the admission process begins there will be a notification which will be issued by the college which is conducting the exam and then after around 15 days of that the application forms will be released. You would have to correctly fill the application and only after that will you get your admit card . After that comes the stage of the exam. The official answer key will be released soon after post which you can send your representations if you think there were any wrong questions and also if you think a wrong answer has been declared as the answer. The university which is conducting the exam will then amend the answer key if need be. Then the results and rank list will be announced and seat allocation be done . During the seat allocation process you will have to pay the counseling fee. Then the second list will be announced and those called for the counseling process will have to pay the counseling fee. Then the third list is announced and once again those who are invited for counseling will pay the counseling fee. Last, final and the fourth list is for those students who are the last students who are selected for counseling and they will also accordingly pay the counseling fee. After this the admission process is completed. 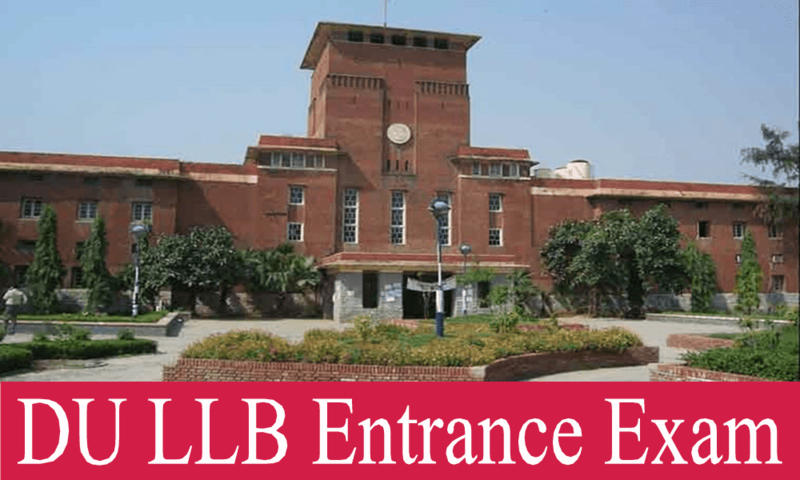 There will be a separate entrance test organized by the Delhi University for admission into both its LLB and LLM program. The total number of seats in the LLB program is 2310. The eligibility criteria for LLB is that the students of general category should have obtained a minimum of 50% marks then there are students from OBC category, widows and wards of ex-servicemen, wards of serving personnel, and physically disabled who should have obtained a minimum of 45% marks, and finally SC and ST students who should have obtained a minimum of 40% marks. The total number of seats in LLM are 100 and the eligibility is a minimum score of 50% in qualifying exam. The admission process begins when the application forms are released in the public domain. You will have to fill in the form within the given time i.e. a fortnight. Then the admit cards will be released. Post that you will have to sit for the exam. Post the exam a provisional answer key will be released. Students can make representations against the answer key wherein you have to either send a written claim in person or by email. The claim must consist of the correct answer with passages from a descriptive source as proof. Then an expert body will be formed to make a decision on the claims and a final answer key will then be released. No representations against the final key will be entertained. Then the result will be announced and the counseling begins. In case of a tie the student with higher marks in the qualifying exam will be given admission. Then the age of the aspirant will be looked at and the older one will be given admission. If there is still a doubt then draw of lots will take place. The counseling will take place offline which means that the entrant would have to be physically present at the time of the counseling where one would be asked to fill a form and disclose their order of preference of the three law schools. All attested and other documents will be verified at the counseling. The admission fee would have to be paid within two days of conclusion of the counseling. There is good news for DU LLM entrants who have done LLB from DU because the LLM fee for them would be lesser. There is a common law entrance test for admission to the LLB course of Mumbai University known as Mumbai University Common Law Entrance Test. The first step of the admission process is that the aspirants have to fill in the application form and pay the examination fee. The reserved category students have to submit relevant certificates in order to claim exemption. The fee ought to be paid via a demand draft and will not be accepted through any other means. After the applications forms have been filled the admit cards will be released and students will sit for the exam thereafter. The results will be declared shortly after the exam and the students will also have to appear for an interview the marks of which will also be a determining factor in the selection. There will be a separate entrance exam for LLM aspirants. Application forms would need to be filled and submitted within the dates assigned for the application process. The reserved category will need to submit relevant certificates and payment of exam fee will be done via demand drafts. There are six groups of LLM courses which are offered which are Constitutional and Administrative law, Business law, Intellectual property and Information technology, Human rights law, Criminal law and criminal administration, Environment law and the students have to arrange these in the order of preference. Symbiosis entrance test will be conducted for admission into both LLB and LLM courses. The eligibility criteria for LLB is that a student should have obtained a minimum of 45% marks in grade XII if he/she belongs to the general category and minimum 40% marks if the aspirant belongs to ST or SC category. The aspirants have to first register online for the test on the website set-test.org and they also have to pay a certain amount as the application fee. Online registration has to be done by the student. This process is known as institution registration process and can be completed by filling the online registration form which can be found on the website symlaw.ac.in. Post completion of the above steps the next step is payment of a certain notified fee for personal interview (PI) and writing ability test (WAT). Payment can be made by credit card or net banking. The payment can also be made via DD which has to be send to Symbiosis, Pune. When paying by DD one should remember to mention the name, SET ID and contact number on the back of the DD. Admit cards will be issued once SET registration is done and payment is made. Then the exam is conducted and result announced. The last dates of payment by DD is different from the date of payment by internet banking and by credit card so that needs to be kept in mind. The eligibility for LLM aspirants is that they should have completed a 3 year or 5 year LLB from a university recognized by UGC and should have obtained at least 50% marks if the aspirant belongs to the general category and 45% marks if the aspirant belongs to the SC or ST category. Students appearing in the final LLB exams can also apply. The total intake for LLM is of 120 students. The process remains the same for LLM with the only admission being that LLM aspirants have to also submit the statement of purpose which should be of approximately 250 words and two references which should be one page each and coming from the head or supervisor of the relevant institutes. Another major difference is that the LLM aspirants do not have to appear for the writing ability test or WAT. There is also a difference in the registration fee for LLB and LLM programs. The Indraprastha University conducts separate entrance exams for its LLB and LLM courses. The exam is called Guru Gobind Singh Indraprastha University Common Entrance Test. The minimum eligibility criteria is that a student should have scored a minimum of 50% marks in Grade XII and must have opted for and cleared the elective English exam. Those eligible must fill the online application form and make payment via the available payment options. I reiterate that the applicant must fill the form which is only available in the online format and then pay the required fee. The modes of payment that are available are credit card, debit card, debit card with PIN and internet banking. Admission through the LSAT score is given into the LLB and LLM program of upto 76 law schools across the country. The eligibility criteria for LLB is 50% marks in Grade XII and for LLM course the eligibility criteria is 50% marks in LLB course. There is no age limit. The registration process will take place online and while filling the form one has to pay the exam fee. The fee can be paid by credit and debit card and also by a DD, pay order, and banker's cheque. After registration one will be assigned a registration number. This number will be required to apply for different courses. Once the registration number is obtained then one has to obtain the application form of the concerned colleges. Once the application process is complete and all steps duly taken only then can one sit for the LSAT exam. But one will first have to download the admit card which will be available online and can be accessed by logging in to the registered account. If you find an error in the admit card then bring that to the notice of the authorities immediately so that it can be corrected. One cannot sit for the exam without the admit card. Once the exam is over then the results will be disclosed soon after and one has to download the score cards. The results will only appear online and based on the score the different colleges will call students for counseling and admissions. That brings the admission process to a close.